1. Boiled potatoes till it is cooked, skinned and mashed with potato masher. 2. In a small cooking pot, add one tablespoon of oil with sliced onion,curry leaves, mustard seeds, fry for about 2-3 minute. Add turmeric powder, chili powder and asafoetida before turning off the stove. Note: I do this step using microwave, just place all ingredients with oil in a microwavable bowl, microwave for 2 minutes. 3. Pour tempering over mashed potatoes, season with salt and lime juice. Mixed well. 4. Pour 2 cups of dosa batter out into a big bowl, add a pinch of baking soda and stir well using a whisk, adjust with a little water if the batter is thick, the consistency of dosa batter could be a little thinner than idli batter to allow easier spreading. 5. Heat up a griddle/skillet over the stove at low heat, pour 1/2 cup of batter over griddle and spread the batter using a ladle in circular motion to form a large disk. 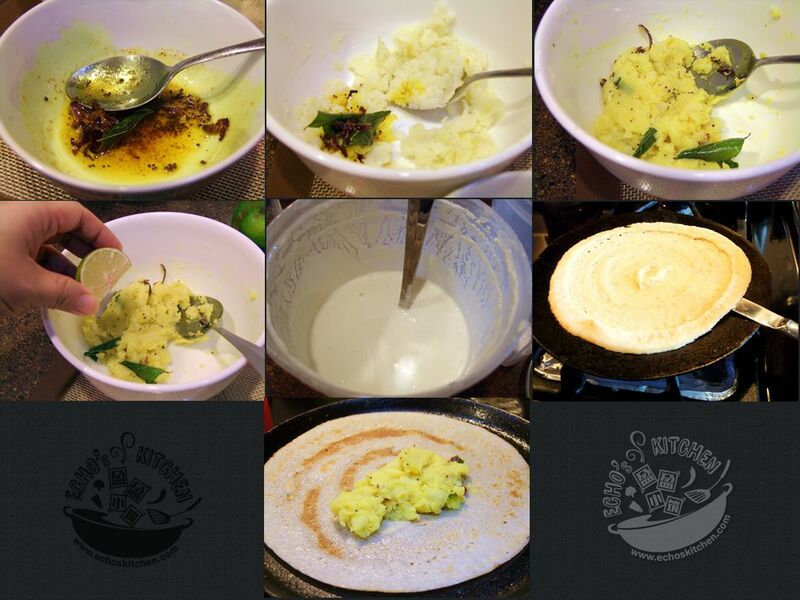 Spread a thin layer of oil over dosa. Flip the dosa when the edges shows golden brown in color, cook for 1 more minute at medium heat. 6. 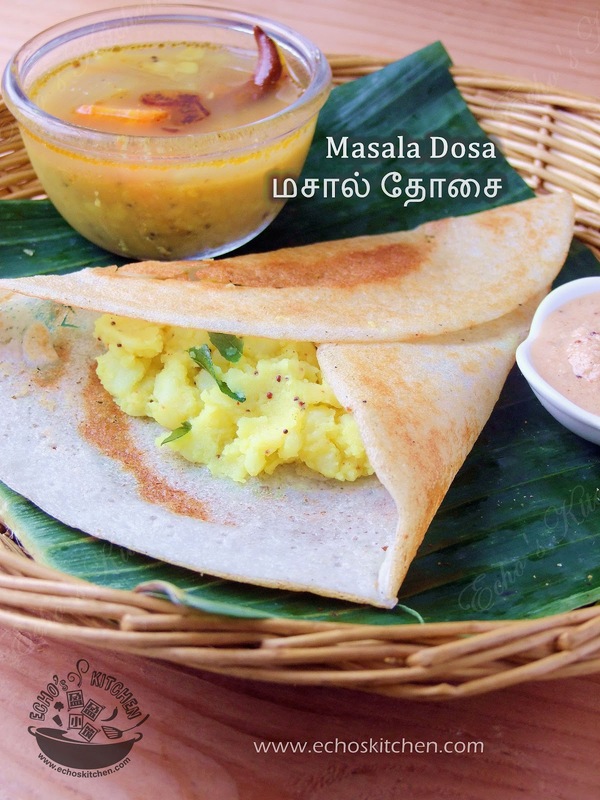 Flip the dosa back and add the potato fillings in the middle of dosa. Wrap the dosa around filling to serve. 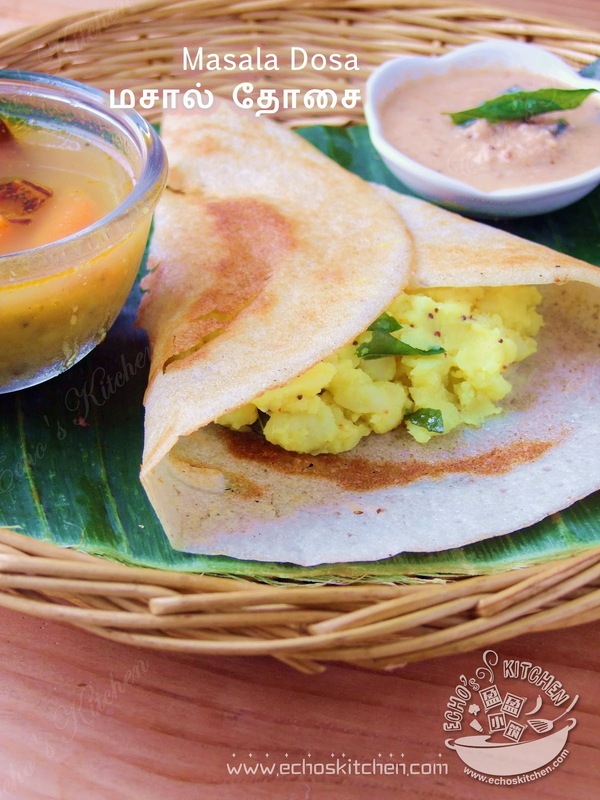 Serve with Sambar and Coconut Chutney. Mamma Mia! u r too professional in cooking !! !